Open October - May, Saturdays from 9 AM - 2 PM. The Museum of Winter Haven History's mission is to preserve the history of Winter Haven for future generations. It is located in the Woman's Club located on beautiful Lake Howard. The museum features memorabilia, photos, films and objects directly related to the history of Winter Haven, Florida. They welcome donations of historic artifacts and also have the ability to scan photographs or printed pieces that individuals may want to retain. For more information contact Bob Gernert, museum director. The Woman's Club building was founded in 1913 with Mary Jewett, MD. as its president and officially opened in 1923. The Woman's Club building acted mainly as a civic center, where a stage and balcony held everything from cotillions, to proms to wedding receptions and piano recitals. 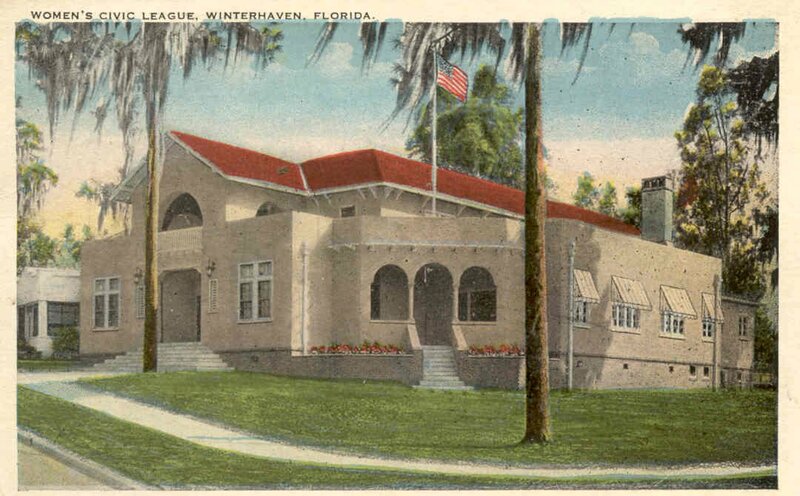 The Woman's Club sold the building to the city in 2001 and is now used as the Museum of Winter Haven History, which opened in January 2006. In 1998 it was added to the U.S. National Register of Historic Places. The museum is open Saturdays from 9 AM - 2 PM, October through May and is FREE and open to the public.